Psoriatic arthritis treatments are often similar to that of arthritis or arthritic conditions, though some medications are specific to psoriatic arthritis. This disorder is in fact a combination of psoriasis and arthritis and either may appear at different times and later turn to psoriatic arthritis. As psoriatic arthritis results in pain and inflammation, accompanied by stiffness and swelling and causes reduced mobility, it needs to be treated aggressively. NSAIDs (non-steroid anti-inflammatory drugs) like ibuprofen, naproxen, diclofenic, acetaminophen, indomethacin and a host of other, some of which are non-prescription drugs. DMARDs (disease modifying anti-rheumatic drug) like methotrexate, leflunomide, cyclosporine and sulfasalazine. Injectable biologics that help in slowing the progression of aggressive psoriatic arthritis. Anti tumor necrosis factor (TNF) drugs like etanercept (Enbrel), infliximab (Remicade), and adalimumab (Humira) and golimumab (Simponi) that are also effective. Corticosteroids drugs that can be given orally or through injection are also effective in pain relief. Surgery is the last option when the joints are badly damaged; but surgery can help with greater mobility. All conventional treatments have various side effects and many drugs can affect the digestive system or other organs of the body, so the side effects, too, need to be monitored. TCM – traditional Chinese medicine has many herbs that offer relief, among them being Tripterygium wilfordii (TwHF) that has anti-inflammatory properties. 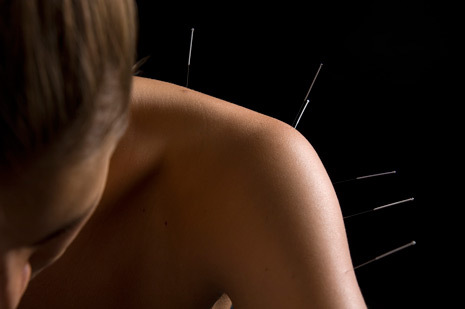 Acupuncture – patients with localized psoriatic arthritis react better to acupuncture treatment. Ayurveda – traditional Indian medicine system treats the patient holistically with detoxification and getting the body in balance. Massage may also be used by Ayurveda practitioners. Naturopathy – naturopathy practitioners use natural methods to boost the immune system and afford pain relief. Fish oil that is rich in eicosapentaenoic acid is known for its anti-inflammatory properties, but it has to be taken in a dose of 2000-3000 mg. a day. Turmeric has anti-inflammatory properties and may help with mild symptomatic relief. Willow bark extract can help with pain relief. Vitamin D supplements may help with psoriatic arthritis, particularly when this important vitamin is in low levels in the body. Vitamin K may help as this vitamin helps maintain joint health. L-carnitine is derived from an amino acid and some people have report pain relief after supplements containing L-carnitine. Vitamin B12 supplements may help if you have low levels of this essential vitamin. Junk foods, fast foods and red meats, a diet high in refined foods and fats increase inflammation in the body. If you follow a healthy and nutritional diet, you can reduce the pain associated with psoriatic arthritis. Exercises to prevent degeneration of the joints and increase mobility are helpful in improving the quality of life. Yoga and tai-chi are gentle options as is Pilates. Walking is also helpful. The greatest help I've got personally is swimming and walking, but you should choose the exercise in which you feel comfortable.